On 6 March we held the 2017 Climate Bonds Annual Conference in London — and the 2017 Green Bond Pioneer Awards that evening. ICMA’s Green Bond Principles and the City of London’s Green Finance Committee were our partners in hosting this event. A day-long working event, not about promotion, about the future of green bond and green debt markets. An advisory panel of prominent green bond investors has been convened. The role of the panel is to oversee and advise on the selection of categories for awards. A set of draft categories will be submitted to the panel by the Climate Bonds Initaitive for review. No categories will be subjective. This means that winners will be based on factual categories such as ‘firsts’ or ‘largest’ rather than subjective categories such as ‘best’. The advisory panel and Climate Bonds Initiative team will select a broad range of categories intended to recognise pioneers from new and different markets, new asset classes, new initiatives, first issuances or large bond sizes. Please contact Claire Berson for sponsorship opportunities for next year's event. The City of London Corporation – the body responsible for running London’s Square Mile – regards green finance as prudent, profitable, and one of the best tools available in the race to cut carbon. That’s why, in January 2016, we launched our Green Finance Initiative in partnership with Government, industry and leading market practitioners. The initiative brings together international expertise from across the financial and professional services sector, and is intended to provide public and market leadership on green finance; advocate for specific regulatory and policy proposals that might enhance the green finance sector worldwide; and promote London and the UK as a leading global centre for the provision of green financial and professional services. 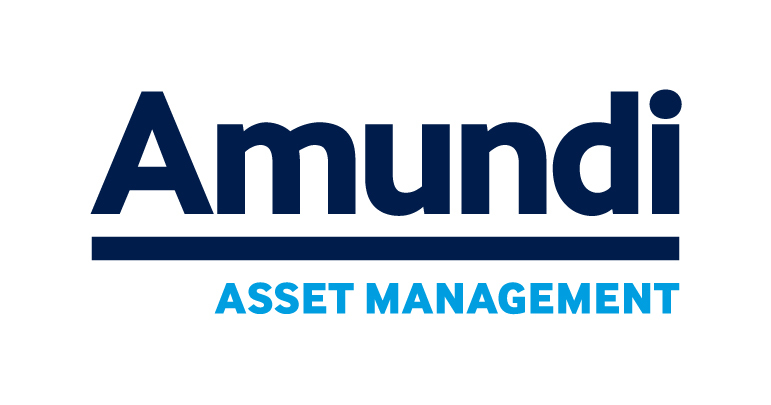 Amundi is the No.1 European Asset Manager with AUM of €1054 billion worldwide. Located at the heart of the main investment regions in more than 30 countries, Amundi offers a comprehensive range of products covering all asset classes and major currencies. Amundi has developed savings solutions to meet the needs of more than 100 million retail clients worldwide and designs innovative, high-performing products for institutional clients which are tailored specifically to their requirements and risk profile. The Group contributes to funding the economy by orienting savings towards company development. International Capital Market Association (ICMA), which provides the secretariat for the Green Bond Principles, is the trade association for the international capital market with over 500 member firms from almost 60 countries, including banks, issuers, asset managers, infrastructure providers and law firms. It performs a crucial central role in the market by providing industry-driven standards and recommendations for issuance, trading and settlement in international fixed income and related instruments. ICMA liaises closely with regulatory and governmental authorities, both at the national and supranational level, to ensure that financial regulation promotes the efficiency and cost effectiveness of the capital market. Owned by the 28 Member States of the European Union (EU), the European Investment Bank (EIB) is the EU's long-term lending institution. As a public bank with objectives driven by EU-policies, its leading priority is to promote European economic development and integration. The share of EIB capital assigned to a member country is broadly in line with a country's share of GDP within the EU. More than 90% of our activity is in Europe. But we also are a big investor around the world. The European Investment Bank targets four priority areas in support of growth and job creation: innovation and skills, SMEs, climate action and strategic infrastructure across the EU. EIB's lending activities are mainly funded via bond issuance in the international capital markets. Its annual funding programme for 2017 is EUR 60 billion. EIB's debt products are purchased by both institutional and retail investors internationally. As of 31 December 2016, EIB remains the largest issuer of Green Bonds with over EUR 15bn raised across 11 currencies, of which the EUR equivalent of 3.8bn so far this year. The EIB provides the market with benchmark Green Bond issuances in EUR, USD and GBP, but has also issued CABs in SEK, CAD, ZAR, CHF, AUD, JPY, TRY and BRL (in synthetic format). EIB is increasing liquidity, size, and scale of Green Bond issuance, in addition to gradually building green reference yield curves. For more information, please see www.eib.org. Standard Chartered is an international banking group headquartered in the United Kingdom providing a wide range of banking and financial products and services to personal and business clients across 68 countries. We are focused on banking the people and companies driving investment, trade and the creation of wealth across Asia, Africa and the Middle East. We recognise we have the privilege, opportunity and responsibility to be a force for good in the markets in which we operate. Rabobank is an international financial services provider operating on the basis of cooperative principles. It offers retail banking, wholesale banking, private banking, leasing and real estate services. As a cooperative bank, Rabobank puts customers’ interests first in its services. It serves approximately 8.7 million clients around the world. Rabobank Group is comprised of Coöperatieve Rabobank U.A. (Rabobank) and its consolidated subsidiaries in The Netherlands and abroad. It is committed to making a substantial contribution to welfare and prosperity in the Netherlands and to feeding the world sustainably. Caixin Media Company Limited is a media group dedicated to providing financial and business news and information through website, periodicals, mobile apps, books, TV/video programs and conferences. Caixin Media aims to blaze a trail that helps traditional media prosper in the new media age through integrated multimedia platforms. oekom research AG is one of the world's leading ESG rating agencies focusing on environmental, social and governance aspects and was founded in 1993. As the experienced partner of numerous institutional investors and financial service providers, oekom research helps realise sustainable investment strategies in a rapidly growing sector. Our sustainability research currently covers more than 6,200 issuers of shares and bonds (companies, countries and supranational institutions). In addition, oekom research also offers award-winning research services in the Green Bond area, including sustainability bond rating services for investors as well as second party opinion services for issuers. Beyond Ratings is a PRI signatory. It provides advanced Risk Research & Advisory services dedicated to country and Sovereign risks. Beyond Ratings has developed state of the art methodologies to deliver augmented Sovereign Risk Scoring, to integrate ESG factors into financial analysis and to measure and report Carbon Footprint portfolios.